I picked up this VT103 in early 2006. It looks like the VT-100, but has a backplane where you can insert an LSI 11/23 CPU board set inside the terminal. 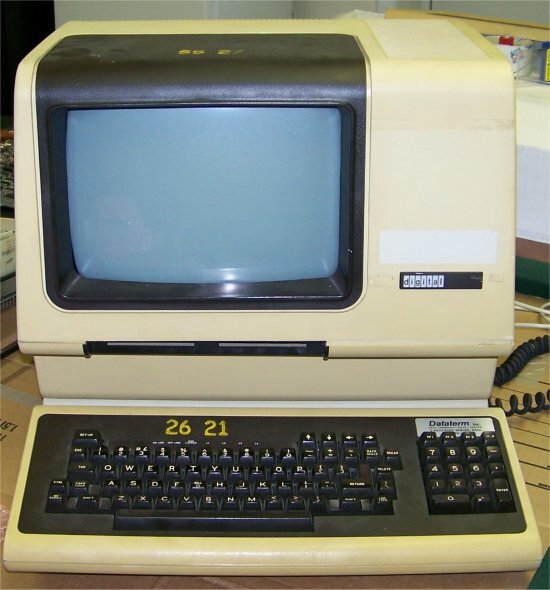 This one currently is not connected permanently to a system, but is used as a "utility" terminal in my shop any time I need to hook up a terminal to a machine that I may be working on.